Dr. Michael Lyons of Advanced Chiropractic & Rehab has completed the certification for Trigger Point Dry Needling. Due to a recent change in the Ohio State Chiropractic Board expanding the scope of Chiropractic practice, he looks to offer the service as an adjunct therapy to the many services he offers. This certification, through the Midwest Rehabilitation Institute, required the doctor to complete 25 hours of coursework in Dry Needling. This certification will further aid the doctor in effectively treating muscular tension and spasm. With the new certification, Dr. Lyons is now qualified to perform Dry Needling to combat the muscular stress that arises from injuries, joint dysfunction or chronic conditions such as arthritis and disc disease. 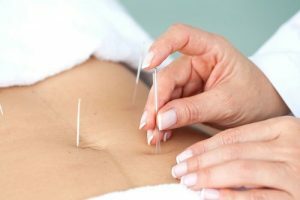 With Trigger Point Dry Needling (TPDN), a doctor inserts a thin needle into a painful knotted muscle to create a local twitch reflex that effectively decreases muscle contraction, reduces chemical irritation, and improves flexibility and decreases pain. Unlike the traditional “shots” with hypodermic needles, this thin sterile monofilament dry needle is not typically painful to have inserted. Dr. Michael C. Lyons is an expert Chiropractor with insight into the goals of an athlete. 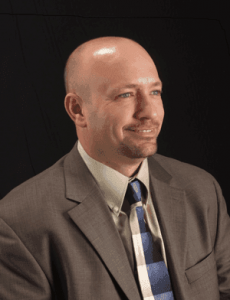 He has 18 years of clinical practice with multi-disciplinary offices in Boardman and Hubbard offering Chiropractic, massage, and physical therapy. He also board certified in functional and corrective exercise by the American Chiropractic Rehabilitation Board. He, himself, is a triathlete and competes in many local events and completed his first full Ironman triathlon in 2015. He is an active member of the Steel Valley Triathlon Club. If you are an athlete looking for specialized help preventing and treating sports-related injuries, please call Dr. Lyons of Advanced Chiropractic & Rehab, Inc at (330)726-7404.